The Calculus of Consent is divided into four parts, each consisting of several chapters. The introduction by Professor Rowley provides a short overview of the book and identifies key insights that permeated the bounds of economics and political science and created an enduring nexus between the two sciences. 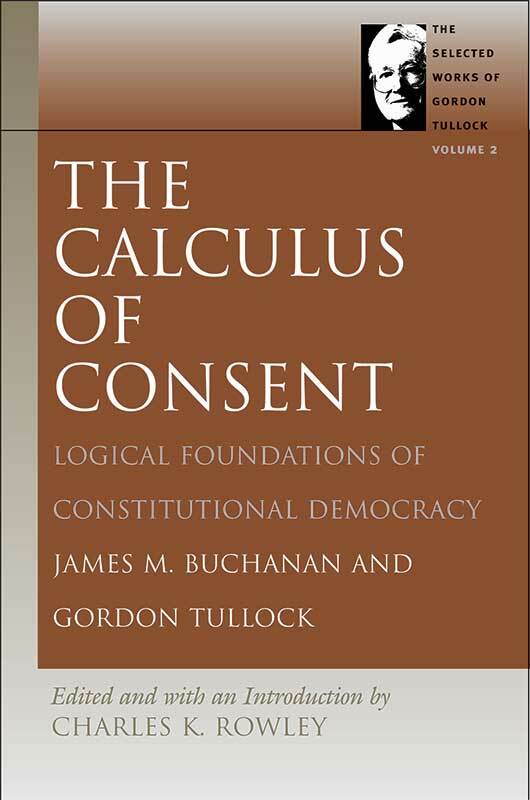 Part I of The Calculus of Consent establishes the conceptual framework of the book’s subject; part II defines the realm of social choice; part III applies the logic developed in part II to describe a range of decision-making rules, most notably, the rule of simple majority; and part IV explores the economics and ethics of democracy. Gordon Tullock is Professor Emeritus of Law at George Mason University, where he was Distinguished Research Fellow in the Center for Study of Public Choice and University Professor of Law and Economics. He also taught at the University of South Carolina, the University of Virginia, Rice University, Virginia Polytechnic Institute and State University, and the University of Arizona. In 1966 he founded the journal that became Public Choice and remained its editor until 1990. James M. Buchanan is an eminent economist who won the Alfred Nobel Memorial Prize in Economic Sciences in 1986 and is considered one of the greatest scholars of liberty of the twentieth century. He is also Professor Emeritus at George Mason and Virginia Tech Universities. Charles K. Rowley was Duncan Black Professor of Economics at George Mason University and a Senior Fellow of the James M. Buchanan Center for Political Economy at George Mason University. He was also General Director of the Locke Institute. Introduction, biographical note on James Buchanan, preface, appendixes, index.